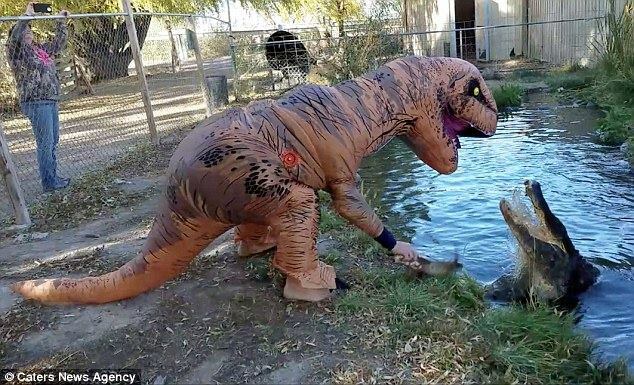 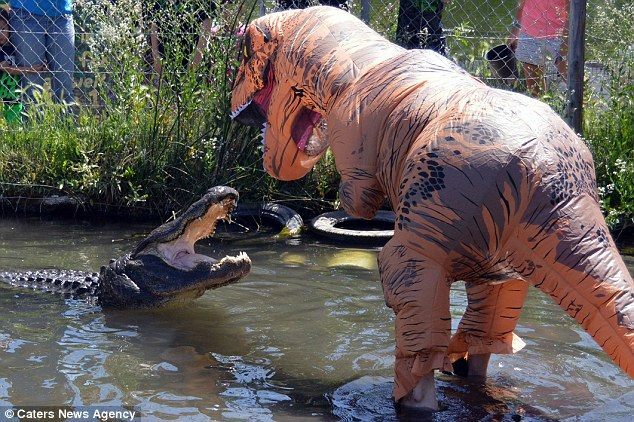 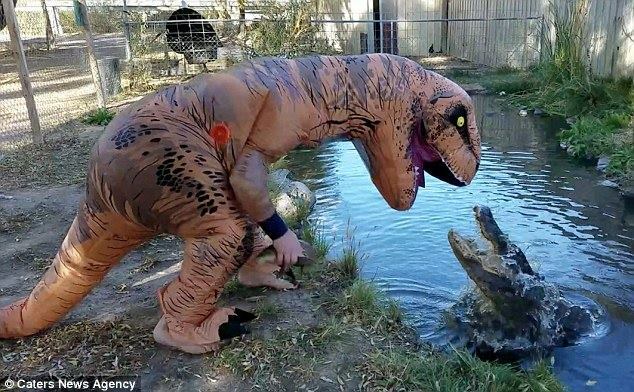 A zoo keeper in Colorado, U.S., was recently seen donned in a T-Rex costume, confronting with a crocodile in a pond inside the premises of the zoo. 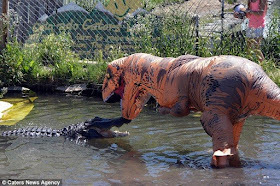 Macdonald Jason, the “Tyrannosaurus”, said he merely wanted to provoke the crocodile in the hope of making it move more so can lose a bit of weight. 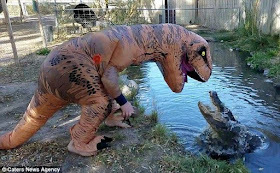 Fortunately, the crocodile did not chase Jason, but rather half emerged from water with its mouth wide opened.